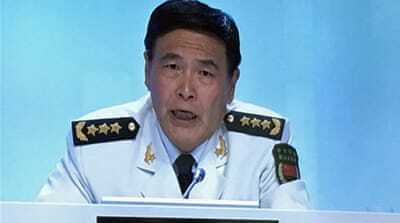 At security summit, Beijing vows to ignore pending international court ruling while US steps up military patrols. Singapore – Asia’s largest defence summit concluded on Sunday amid growing fears of a legal and military showdown in the South China Sea over China’s rapid construction of artificial islands with ports, airstrips and helipads in one of the world’s most bitterly contested waterways. At the weekend-long Shangri-La Dialogue , Chinese military officials vowed to ignore a legal ruling expected in the next few weeks by the Permanent Court of Arbitration in The Hague on a Philippines’ challenge to China’s growing assertiveness in the key sea route between the Pacific and Indian Oceans. “We do not make trouble, but we have no fear of trouble,” said Admiral Sun Jianguo, deputy chief of staff of the People’s Liberation Army, who led the Chinese delegation at the summit. SINGAPORE — When the former British colony of Singapore became a country nearly 50 years ago, its people were sustained by a multiethnic street food culture that would make the island-nation a global food mecca.